John Sergeant has today started a series on BBC2, at 6.30pm, called Britain’s First Photo Album. JS is following in the footsteps of Francis Frith, the Victorian pioneer of photography. He takes some of the images and looks at how those places have changed over the years. Today he started in London with Chelsea Pensioners and Covent Garden. Then he got to open Tower Bridge himself, and sb Gladys was seen passing through it downriver. 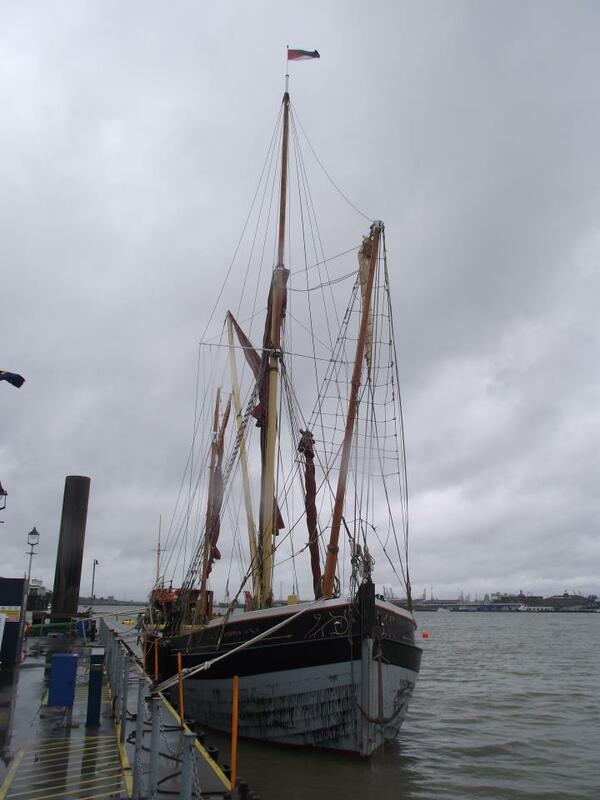 The trailer for tomorrow’s programme showed JS on board sb Cambria at Gravesend, which was filmed whilst she was based at St Andrew’s Wharf. 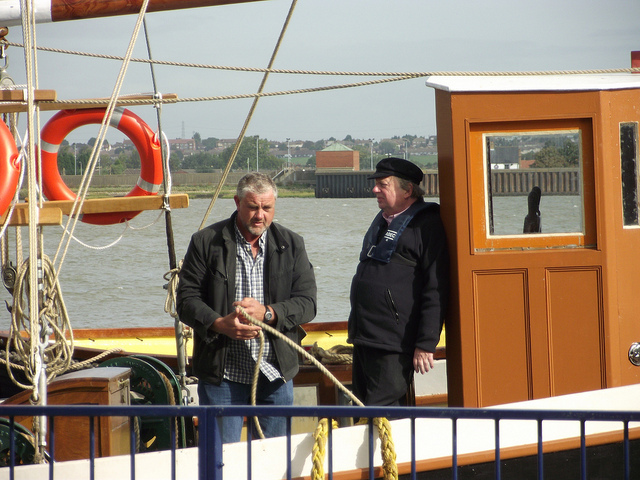 Matt Care tells us she was skippered by Richard and crewed by Stretch and Tim G. He said JS and the film crew certainly enjoyed their day on board, and JS proved to be a brilliant, friendly and approachable bloke who took a good genuine interest in the project. He was even messing about at one point doing a De Caprio/Titanic in the bows. So the programme’s not to be missed – 6.30pm tomorrow on BBC2.